Let’s face it, with the hustle and bustle of everyday life we don’t have time to paint an entire room. So how do you perk up a room without sacrificing your entire weekend? 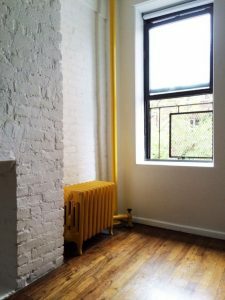 We listed a few brilliant places in your home that only need a touch of color. It’ll save you time and you won’t need a whole gallon of paint! DOORS: Everyone paints the outside of their front door, but what about the inside? Painting the doors that are inside your home is a quick and easy way to brighten up your space. EDGE OF A DOOR: Sometimes it’s the little things that bring charm to a room. 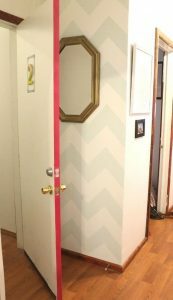 Paint the edge of your doors a contrasting color. ENTRYWAY: Same idea as painting the edge of a door, painting an electrifying color on the inside of an entryway adds a jolt of style while dividing the space. 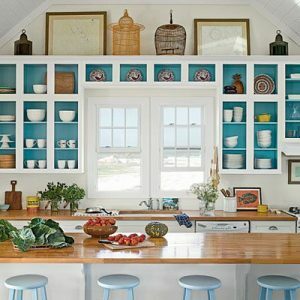 KITCHEN CABINETS: Brighten up the inside of your cabinets and your tableware will really pop! HEADBOARD: If you don’t have a headboard for your bed, try painting one instead. 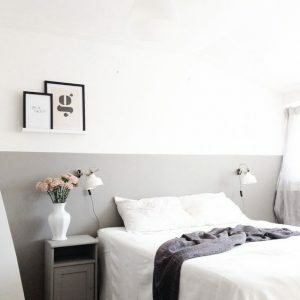 Painting a shape above your bed not only adds color, but it adds a touch of personality rather than the same generic fabric headboards.